There are an increasing number of loan schemes affecting Vermont consumers. An increasing number of money lenders offer “quick loans” or “EZ cash” via the internet (or use spam email, pop-up ads, or text messages). Learn to protect yourself from illegal loans. Is there a fee you have to pay before you receive the loan funds? This type of loan, one that requires a payment up front from you prior to disbursing funds, is unlawful in Vermont. Do not pay any money up front for a loan. If a lender wants you to wire money prior to receiving your loan, cease contact with the lender. Is the lender licensed to do business in Vermont? 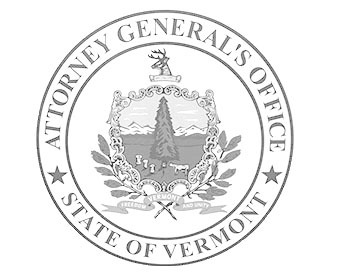 Unless it is a federally-regulated entity, a lender operating in Vermont or lending to Vermont consumers must be licensed with the Vermont Department of Financial Regulation. You can check the licensure status of a lender online on the Department of Financial Regulation’s website. You can also check online to see if a lender has already been identified as an “unlicensed lender” on the Department’s Unlicensed Lender List. Call (802) 828-3307 or email: DFR.BnkConsumer@vermont.gov [If emailing, for security reasons, please specify “Unlicensed Lender complaints” in the subject line]. Is it a Payday loan? These are small-dollar consumer loans (average loan amount of $500), at very high interest rates (typically exceeding 300% annual interest), for short-term periods (typically 2-4 weeks). Such loans are generally illegal in Vermont because the interest rates exceed Vermont’s usury cap and the lenders do not have the required state lending license, but the lenders offer the loans via the internet. Read the “Fact Sheet” summarizing the Report. Download a one-page “Consumer Tips” summary. You should avoid these loans. Here are some Alternatives to an online loan. Send your lender and a copy to your bank or credit union and fill out the Cancellation Form to revoke access to your bank account and cancel the loan. Even if your lender has not responded to you, explain to your bank that you cancelled your authorization and that the bank should no longer allow any automatic debits from that lender. If you have paid back all of the loan amount, you do not have to pay any more. Collect as much information as you can from the lender (their place of business, their contact information, ask for all documents pertaining to your loan). Provide as much detail as possible: the lender’s full business name, address, website, any other pertinent details. Click here to receive email news or alerts from the Attorney General’s email list on illegal lending. Contact us with questions or to file a complaint. It is unlawful for the lender to harass you to collect the loan. Visit our Debt Collection page for more information. Click here for relevant laws and the Attorney General’s Enforcement Actions on Illegal Lending.